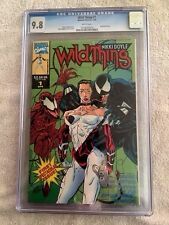 Nikki Doyle Wild Thing Comic Book #1 (April 1993) with Venom and Carnage Mint! Wild Thing (1993) #1 #2 VF/NM 9.0 Marvel UK Comics Venom & Carnage Early app. WILD THING #1 Marvel UK Comics 1993,High Grade copy. 2 product ratings - WILD THING #1 Marvel UK Comics 1993,High Grade copy. WILDTHING #1: April 1993, Marvel UK. "Embossed Cover". NM. Unread. This page was last updated: 24-Apr 03:37. Number of bids and bid amounts may be slightly out of date. See each listing for international shipping options and costs.